What a cute little mini mouse! It sounds like North Carolina is much like Flagstaff Arizona, cold one minute, warm the next. We are expecting snow again on Wednesday. I wish it would hurry up and be spring already! I'm stopping by from the Monday GFC Hop! Have a great week! Thank you :) I have a few friends in Arizona and they say the weather is bi-polar there as well. Good to know it's not just us. I'll be sure to drop by your blog as well. Thanks for linking up! At first the snow our end didn't stick. 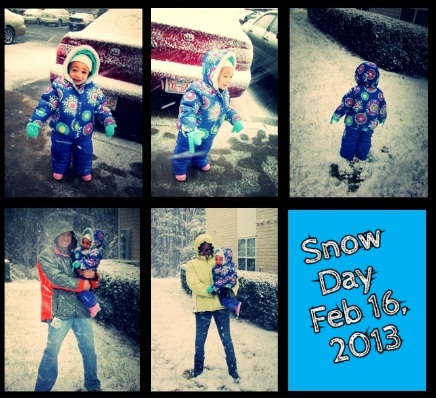 It ended up turning to a rain mixture but then we woke up yesterday morning and the whole yard was covered in snow! The kids and I had a blast. Now that I've gotten my snow, I'm ready for Spring. ooooooh that mini mouse costume is SO SO SO cute!!!! She isi too cute!! I don't know what that Groundhog has to do with the weather, LOL! What is his track record? The weather is so crazy in Texas that I can't tell if it's winter or Spring most days. I kind of miss the snow. 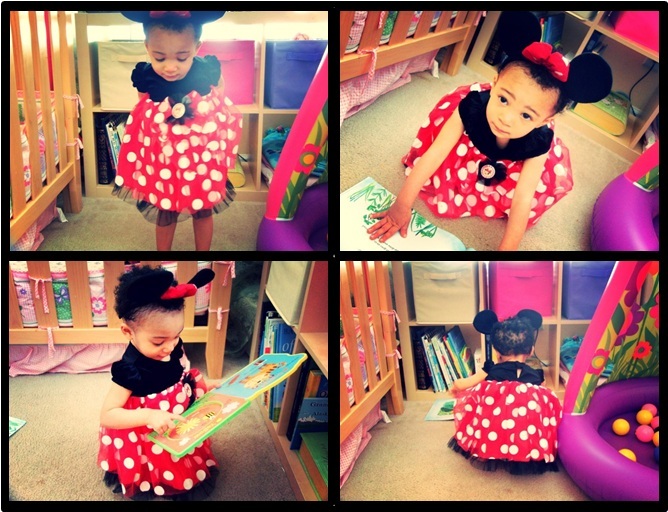 she is so stinkin cute in that minnie mouse outfit! !